Five star service. Good advice on the phone and prompt delivery. 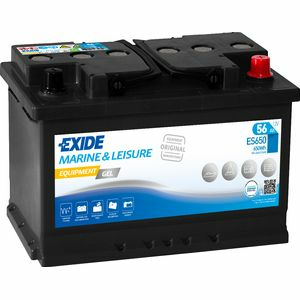 Works fine as a direct replacement for the leisure battery in my motorhome - dropped straight into the bay and has the same contact configuration. Easy. If you want to run an Eberspacher heater in your campervan (VW T5 in my case), then this is the type of battery for you. Worth the extra money for reliability and voltage retention. Thanks to Tayna for their good advice. I have not owned or used the 2 batteries I purchased for a long enough period to offer a relevant review. I was pleased with the level of knowledge displayed by the person on the other end of the telephone when I was asking questions about the suitability of these gel batteries for my motor home........So much so that I made my purchase. I have just come home from a week in the motor home and was 'wild camping' for a couple days and am pleased to report we had no battery issues at all. For us this was a nice feeling as our old batteries were goosed when we bought the van, this spoiled our first couple of overnight experiences as we had been led to believe the batteries were good and just required a proper charge. The batteries had flattened within hours of recharging!